This morning, my heart is heavy, and I’m focusing on what a modern-day shepherd looks like. Our country experienced another blow with yet another mass shooting. This time, seventeen students were shot and killed at a high school in Parkland, Florida. I know it’s been in the news for days now, but it is still on my heart this morning. Two of the seventeen who were killed were Aaron Feis, a 37-year-old football coach, and 49-year-old Chris Hixon, who was the school’s athletic director and wrestling coach. I’d like to dedicate this morning’s B Moment to them. I’ve talked before about the role of a good shepherd, and these two men epitomize that for me. 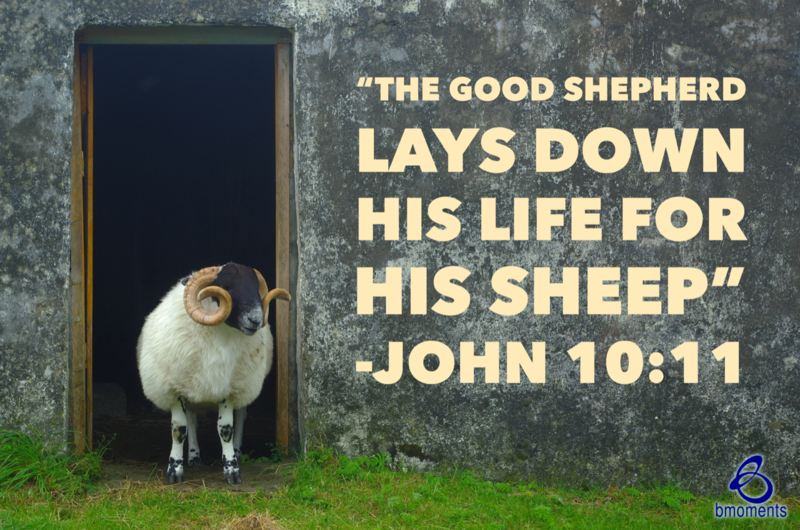 In ancient times, the sheep would stay in a sheepfold, and when all the sheep were inside, the shepherd would physically lay across the opening, using his body to form a gate since the sheepfold had no door. This is exactly what happened in that high school. The students were in an open hallway and there was no door, so these brave souls lay their bodies across their students to protect them. There is no higher good on this earth, one would think, than to sacrifice your life for another. So today, know who your modern-day good shepherds are.